Well…by the time I got home and finished setting the table, the sun decided to change to clouds! But I wanted to post some pictures tonight. Hopefully there will be good sunlight tomorrow, so I post more pictures. 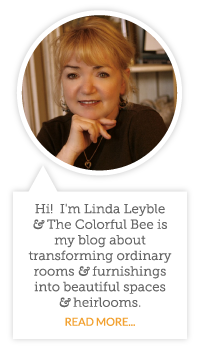 I just fell in love with the orange, green, pink and a dash of yellow color scheme. It’s such a happy combination. It says spring plus warm weather ahead for me. 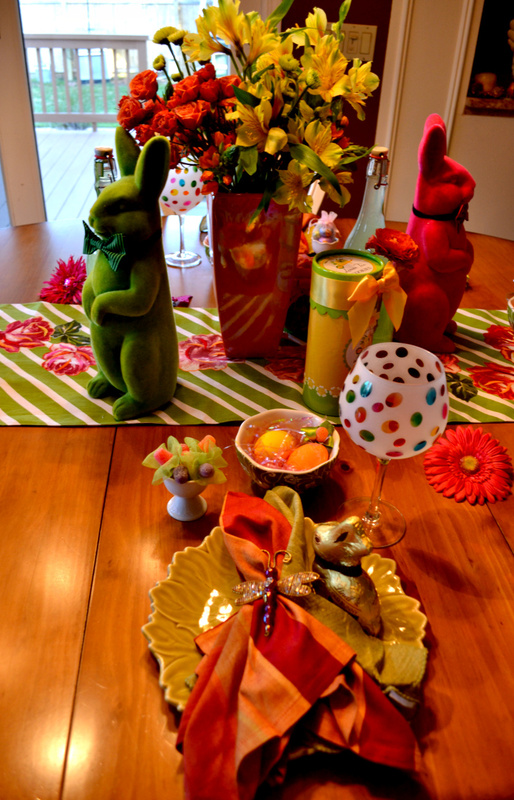 Maybe you noticed the little “flowers” I placed in the egg cups in the second picture. These were super simple to make and perhaps a little more fun to see in the egg cups than eggs! 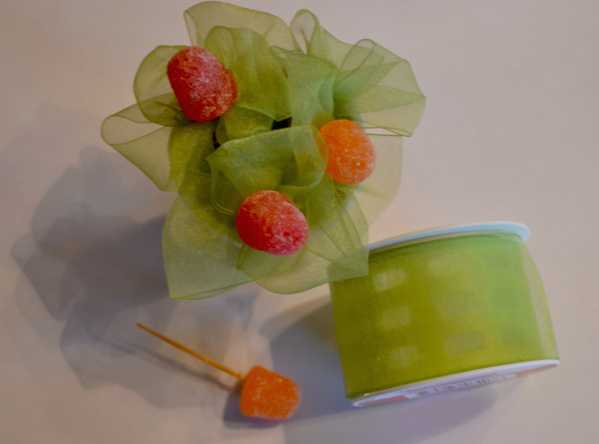 Just use a toothpick to skewer the gumdrops…then wind some organza ribbon around it in leaf-like folds. 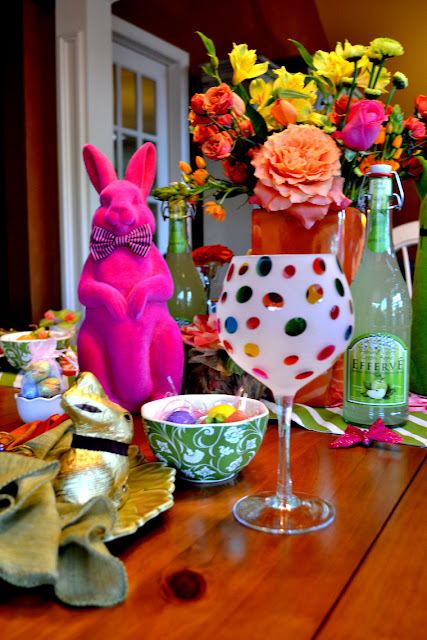 Secure with florist wire or rubberbands – whatever you have on hand and then place in egg cups or small glassware. You can secure several together at a time – or once you have a few in your cup, you can just place a few extra gumdrops on top. So…hopefully the sun will be shining tomorrow, so I can post more pics! Thanks for coming to take a look! The Recession Faux Finish of the Month! 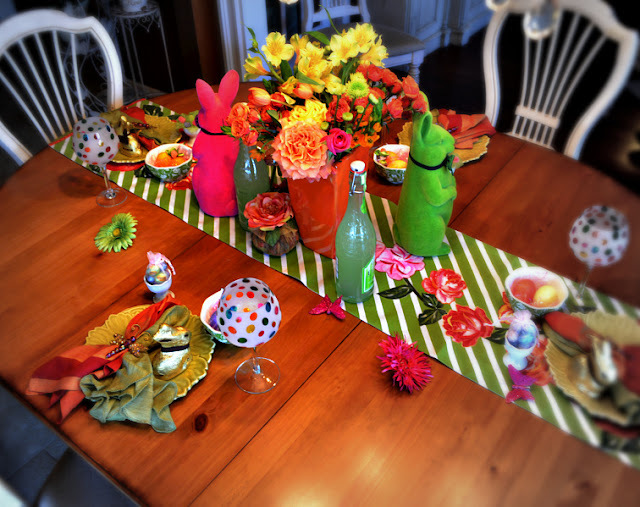 What a great, colorful Easter table – may I join you for Easter tomorrow? Love all of the beautiful colors! 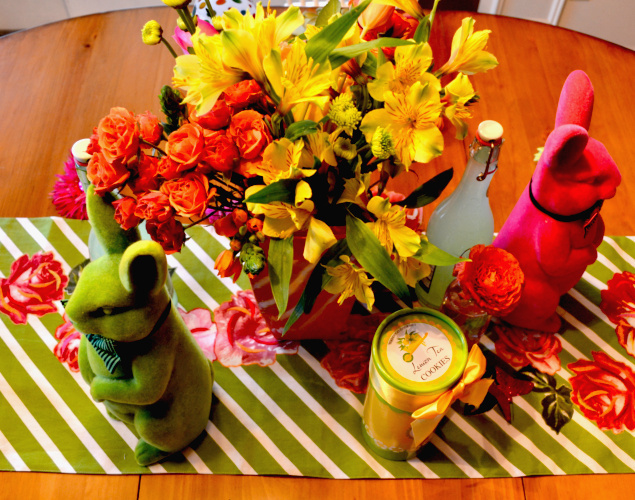 Your gumdrop flowers are too cute!